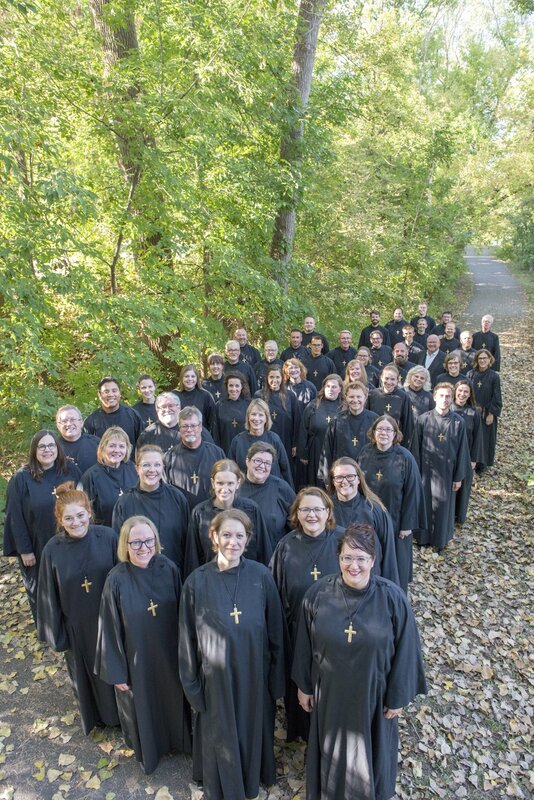 The National Lutheran Choir is at the forefront of preserving the Lutheran choral tradition. This Minneapolis-based ensemble directed by internationally acclaimed conductor and organist, Dr. David Cherwien, is an essential fixture of the choral world. The many LSM alumni and friends who have sung in the National Lutheran Choir have once again felt the sense of sacred purpose and true belonging that they experienced at LSM. Members of the National Lutheran Choir will join LSM students in this meaningful event. This summer, LSM students will sing alongside members of the National Lutheran Choir under the direction of Dr. David Cherwien for the LSM Hymn Festival. Sought after for his profound programming and artistry, Dr. Cherwien presents hymn festivals all over the US and abroad. This inter-generational event will allow the National Lutheran Choir to pass down the sacred choral traditions we hold so dear to the next generation of leaders in music and the Church. Do you want to be a part of this transcendent experience? Nominate a student for LSM 2019. Share this rare opportunity with a young person in your life. Join us for the Hymn Festival and be a part of the greater LSM community.